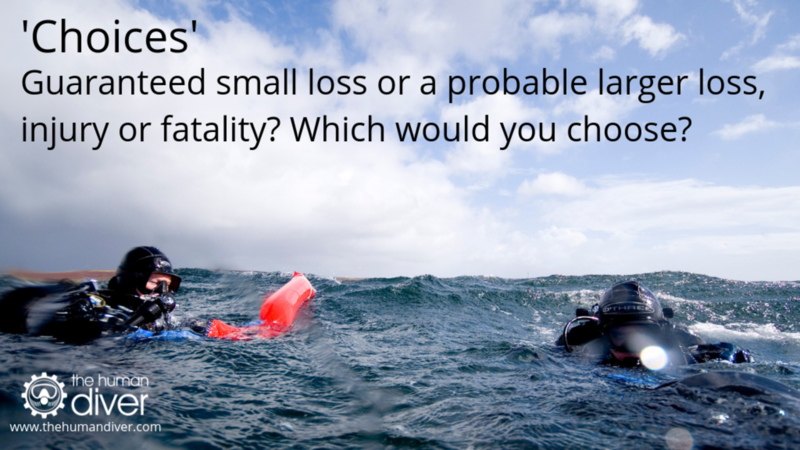 'Choices': Guaranteed small loss or a probable injury or fatality? But what if two or three other minor issues had happened on the dive, leading to a very serious incident? How well do you think your uncertainty management would have been then? Certainty is only 100% after the event but we often consider that we have an illusion of certainty beforehand based on previous experiences and stories we have heard from others. Besides, due to the way our brain is wired, no-one really thinks that the physical pain is going to happen anyway! Psychological pain (or loss) is much easier to conjure up! These sorts of decisions happen all the time in diving and the losses we face aren’t just physical or financial, they are also psychological in nature. We are dealing with “mixed” options: there is a risk of loss and an opportunity for gain, and because time is marching on, we must decide whether to accept the gamble or reject it. 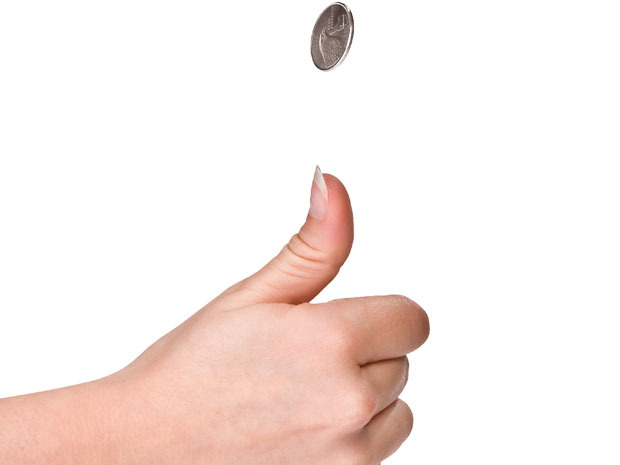 For example, you are offered a gamble on the toss of a coin. - If the coin shows tails, you lose $100. - If the coin shows heads, you win $150. Is this gamble attractive? Would you accept it? Most people would say no because the psychological loss is perceived as greater than the gain. It is possible to determine where your own threshold is by looking at the smallest gain you would be willing to have compared to a loss of something like $100. Kahneman and Tverskey showed that on average the smallest gain is about $200, with the range being approximately $150-$250. Therefore, on average, we need about 1.5-2.5x the benefit before we will even consider the taking the risk/gamble. An interesting aspect of this is that the baseline or centre-point is important, especially when it comes to losses. If you have a 50:50 gamble in which you would lose $10, what is the smallest gain that makes the gamble attractive? If you give a number less than $10, you are risk seeking. If it is above $10, you are risk averse. (See note re: risk in different domains at the bottom). What about $500 on a flip of a coin? Or $2000? At some point, the gamble is just not worth it, even if it was millions. Why the centre-point is important because it is the perceived psychological loss or gain that is important. If you have millions of dollars, losing $2000 means very little compared to someone who doesn’t have much money. 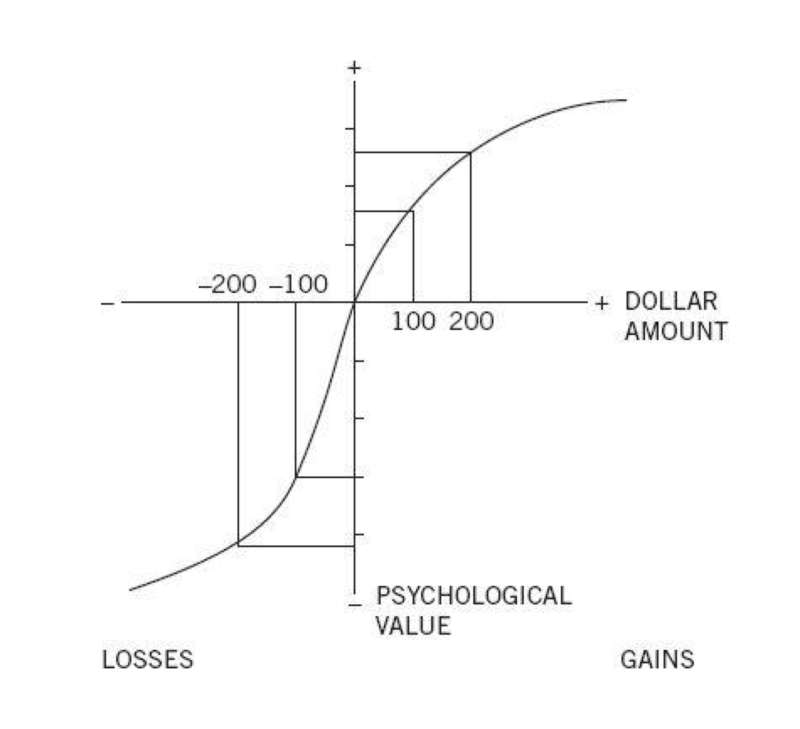 Kahneman and Tversky produced a graphical model which looks at this relationship and the gradient of the curve is an important feature, called Prospect Theory. At the centre-point, the loss gradient is steeper than the gain gradient which means the impact of a psychological loss is great than a gain. However, as you move further from the centre-point, the impact gets less and less. Although the following might appear contradictory, the claims which Kahneman and Tverskey made have been shown to be valid. - “In mixed gambles, where both a loss and a gain are possible, loss aversion causes extremely risk-averse choices. Kahneman, Daniel. Thinking, Fast and Slow (Kindle Location 4840). Farrar, Straus and Giroux. Kindle Edition. This is why in the example given at the start the risk of a definite loss of the dive has a larger impact on the decision than ‘maybe’ having an issue with the equipment causing a major problem underwater. In effect, the thought process goes along the lines of "I will 'lose' this dive if I don't get in the water and I haven't dived for ages, but I might have an issue with multiple failures and I could lose my life, but that doesn't happen very often and certainly not to me." However, if this was a situation where you had been diving every day for the last 6 months and then you were in the same situation and potentially lost this dive, it wouldn’t mean much to you, and so thumbing it on the surface would have likely been easier. Context is important. When we look at incidents or accidents we often perceive the diver or divers involved have all of the information that the observers after the event have. Obviously, this can’t be true because we know, with 100% certainty, the outcome, they didn’t. In a significant number of cases, we also don’t know the background leading up to the event and it is these drivers and pressures which are key to understanding local rationality. In a recent post on Scubaboard about a near-death experience, the diver was on a trip to Truk Lagoon and they were about to dive the San Francisco Maru, "one of the wrecks I really badly wanted to see during the trip". Their CCR unit had been intermittently serviceable (potential major loss) as the controller wasn't connecting to the unit. As this was likely a technical issue that couldn’t be repaired in the field, there were three options: dive CCR with the fault (minor loss due to workload), dive OC (minor loss) or don’t dive for the rest of the trip (large 'minor' loss). Due to a self-generated rushed mental state, the diver entered the water not having done their pre-dive checks completely and, as a consequence, the O2 was still turned off. They passed out due to hypoxia and required CPR and O2 to bring them back to life (almost a very major loss!). Their post of the account is well worth a read to highlight because, as he said, complacency is not just an empty threat. But as with many incidents and accidents, it wasn’t about a single instance of uncertainty (or complacency for that matter) it was about weighing-up multiple competing goals and deciding which is the least amount of loss that the diver was willing to accept based on certainty and uncertainty. Prospect Theory doesn't just apply to individual and personal risk, it also applies to dive centres and operations too. 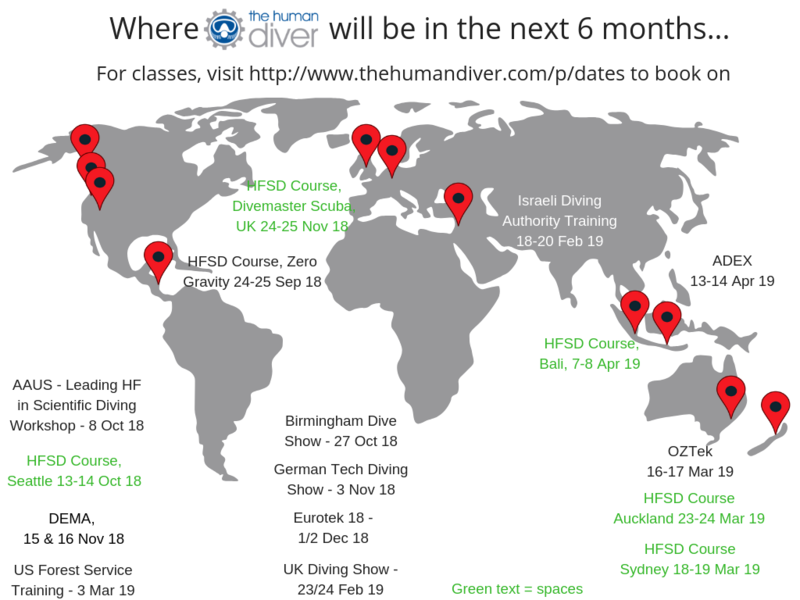 Gradually drifting from standards to keep the business going compared to the possible risk of a fatality materialising...and while insurance can help mitigate your position, the impact on the wider diving industry is becoming critical is some places as insurance premiums become untenable. First off, human nature is common, so don’t think this 'problem' doesn’t apply to you. While the specific values of risk and uncertainty which people are happy to accept vary, the general rule of Prospect Theory applies to us all. The way to mitigate this risk is to have effective teamwork, robust communication, cross-checking of equipment and configurations. Many divers do not like ‘rules’ and ‘standardisation’ because it limits personal freedom. 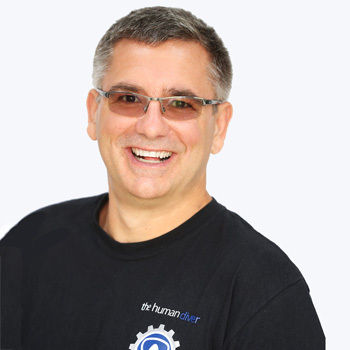 At the time, that standardisation of process and configuration means that risks can be managed in a more informed manner and the impact of uncertainty is reduced. Another advantage of operating in a true team is that it is easier for someone else to make the call because they will not likely be under the same psychological pressures as you are. And if you are operating in a high-risk situation where there are massive external pressures (expedition with media coverage), having a dive safety manager who can act as a mediator between task pressures and individual pressures is a massive advantage, but psychological safety is essential to allow team members to speak up if they believe undue pressures are being applied. Finally, if you find yourself in a situation whereby the small risks/uncertainties which are being managed are getting greater and greater in number, there needs to be a reversion to logical thought and not emotion. Easy to say while writing this blog, but sometimes the gambles on a severe loss do come up and you might not be able to fail safely. Note on risk in different domains: The DOSPERT study showed that risk perception and acceptance across five different domains (health, social, financial, sport and recreational) was different and that just because subjects were risk seeking in one domain it didn't mean they were risk seeking in others.